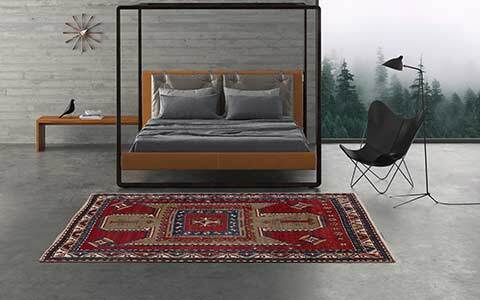 The rug of the Month February 2015 is part of Mischioff’s brand new Seya Collection, which was presented for the first time to the international audience at the important fairs DOMOTEX Hannover and IMM Cologne in January 2015. This beautiful and versatile collection includes exclusive masterpieces with classic and modern designs made of 100% natural silk. 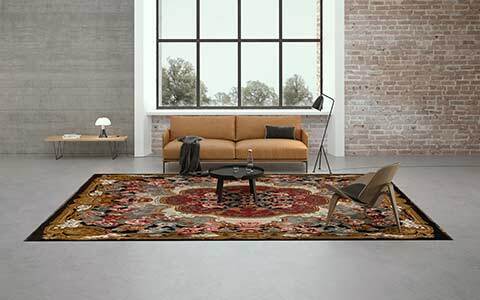 The Seya CX2684 impresses by its bright colours, its unique shine and a pleasantly soft pile and provides a special elegance, which ensures a pleasant living environment in every living room. 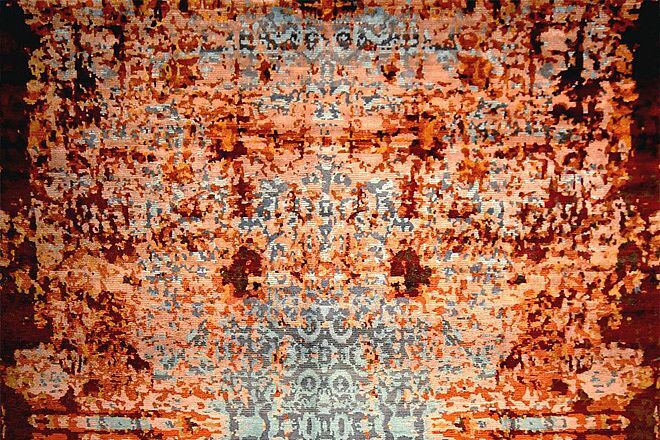 All rugs of the Seya Collection are individual one-of-a-kind pieces. Within the specified primary colours, Mischioff uses individually selected colours for every single item. 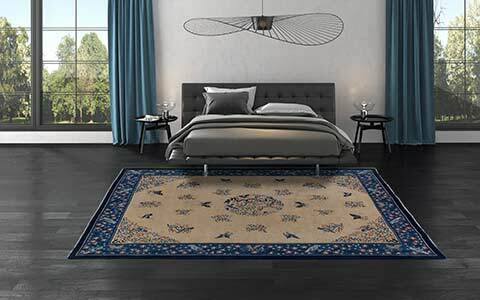 Thus, each Seya silk rug has its own character. 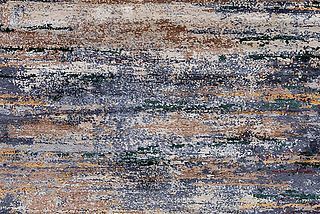 Our rug of the month February is a modern interpretation of classic patterns with very expressive colours and contrasts. The production of the new Seya Collection is entirely handmade by experienced weavers in our manufactories in Nepal. 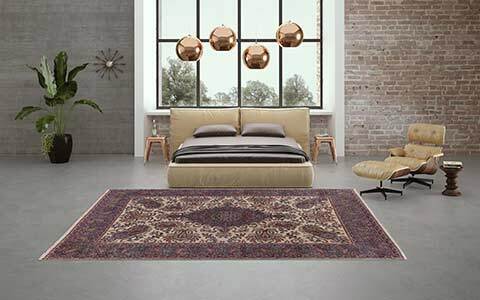 As a member of the fair trade Label STEP, the production of the Seya CX2684 as well as all rug collections of Mischioff is controlled by independent inspectors. Sustainability, environmental friendly production, fair wages and no child labour are a matter of course for our company. The Seya CX2684 is available from stock as a single piece in the size 303 x 231 centimeters. The delivery time of a rug - if on stock - is about 5 to 7 working days. 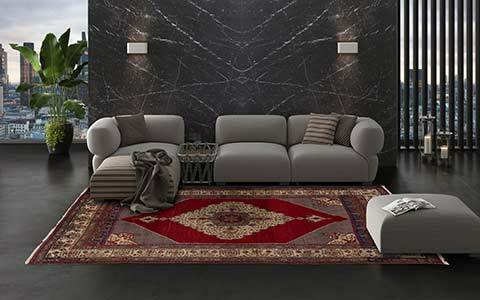 The carpets of the Seya Collection are also orderable in custom size. 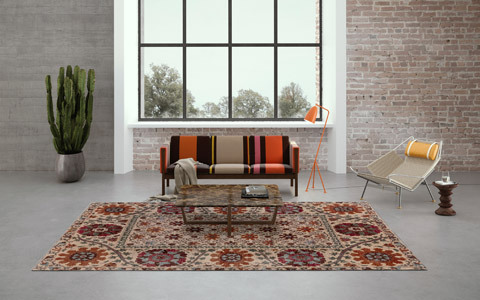 Slight colour differences, preserving the particular individuality of each rug, have to be taken into account. 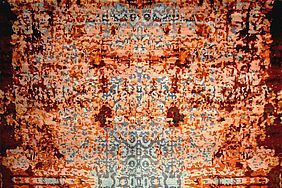 Interested in a rug of our new Seya Collection? Then register for the Mischioff online catalog where you can find all collections, designs and available stock pieces. For further information or questions about our collections, please do not hesitate to contact us directly - we are looking forward to your inquiry!